A 59-year-old Brooksville man died Monday after he lost control of his truck and smashed into a tree, according to investigators. The man was driving on Snow Memorial Highway, just north of U.S. 41, at around 6:10 p.m. when he apparently hammered his 1989 Dodge Ram into a tree. According to the Florida Highway Patrol, a branch from a tree broke and fell on top of the truck, causing the man to lose control of his vehicle and crash into another tree on the east shoulder of the highway. The man died from his injuries at the scene of the crash. 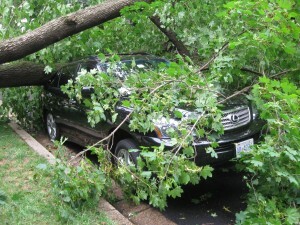 While fatalities associated with falling tree branches may seem out of the ordinary, these accidents occur much more commonly than you may think. In fact, according to the Occupational Safety and Health Administration, on average, there are more than 100 tree and landscape fatalities that occur across the United States every year. A mature tree can weigh more than 10 tons, so an impact with this kind of weight is strong enough to crush a motor vehicle and severely injure or kill a human being. If you were injured or lost a loved one in a car accident on a road or highway in Spring Hill, Brooksville, Ridge Manor, Weeki Wachee, Hernando Beach or Masaryktown, we stand ready to help you recover the financial compensation you deserve. Schedule an initial consultation with our Hernando County Injury Lawyers by calling 352-666-2121 or by contacting our law firm online.